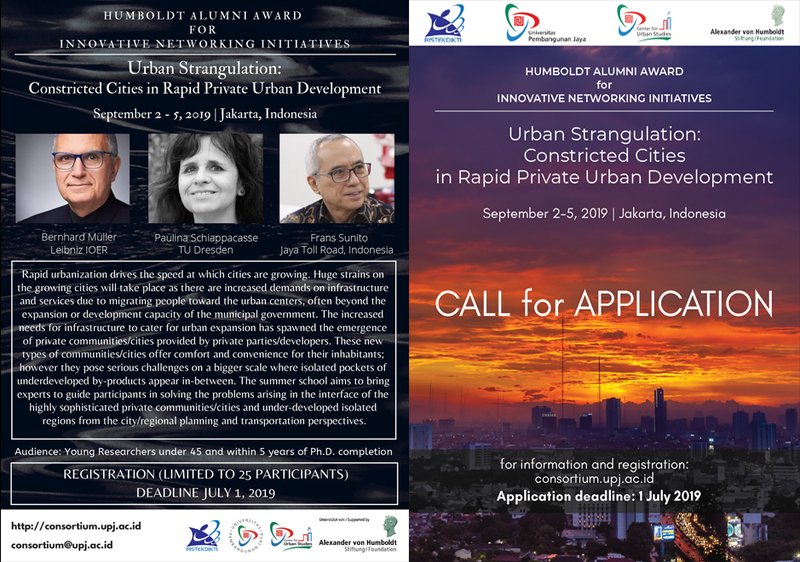 The "ASEAN Urban Consortium" was initiated during the 3rd Humboldt Kolleg conference held in July 2017 in Jakarta. The purpose and aims of the Consortium are: to strengthen the network of ASEAN researchers through collaboration, researcher mobilities, joint proposals, joint publications, joint seminars, and other scientific activities which are deemed important in assisting the advancement of understanding in the challenges and problems faced by the urban societies in ASEAN region. The document of the consortium can be downloaded in the link below, along with the names and signatures of those who agree to join the consortium.